Filipinos are known for their sunny and cheerful disposition. Filipinos are also so adaptable and resilient that, in fact—as a way of coping, Filipino can still laugh and smile amid natural calamities, economic difficulties, and social tragedies. Instantaneously, it is this very trait that rallies the Filipino people, once again—through the power of social media, towards promoting the Philippines as a prime tourist and travel destination in Asia. The Department of Tourism’s (DOT) new campaign slogan “It’s more fun in the Philippines!” drew both positive remarks and negative criticisms. Prior to this, DOT’s “Kay Ganda ng Pilipinas” drew so much flak being a copycat of Poland’s tourism logo. Hence no other than the Philippine president ordered to junk the campaign logo and tagline “Pilipinas, Kay Ganda”. That was clearly an oversight. Several months later after Former DOT Secretary tendered his resignation on August 31, 2010, the DOT under the new leadership of an advertising executive Ramon Jimenez, worked to define what would be the Philippines’ tourism tagline. 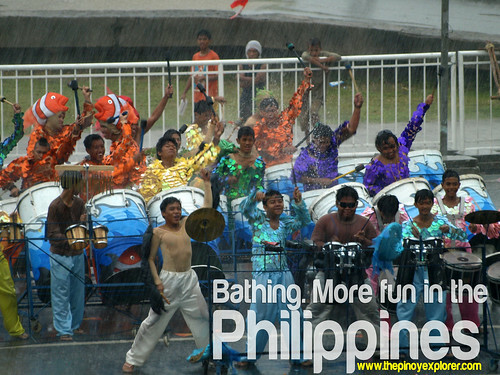 Hence, they decided “It’s more fun in the Philippines” would nail it. However, there were some skeptics on the new tagline. It was reported that it was a copycat of Switzerland’s promotional tagline more than 60 years ago. But it did not stop the new meme to spread all over the world that it has gone viral on the internet—that photographers, travel bloggers, lifestyle bloggers, and even Facebookers attempted to make their own version of the meme. Needless to say, Filipinos were entertained. It tries to balance the negative publicity around the world that the Philippines is a mischievous place for tourists (referring to Manila bus hostage crisis in Rizal Park), and for journalists (like the Magauindanao massacre). 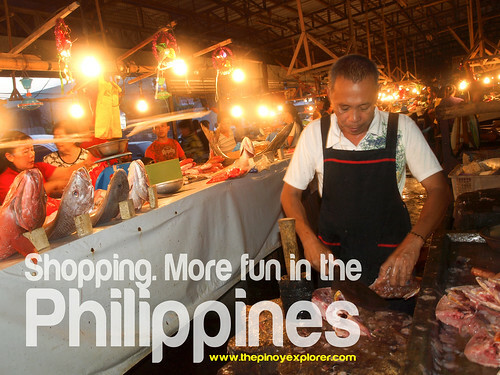 Despite the brutal past that the Philippines had to face before the global community, the slogan "It's more fun in the Philippines" tells that if you have experienced something from other countries, the Philippines can offer better, which could be very catchy. If I were to decide, of course, I will choose the one with "more" fun. It is different from our neighbors in the Southeast Asia—most of the countries use a one-word adjective to describe their countries. We on the other hand, say loudly that we are offering better deals. It clicked because Pinoys want to have their say on the tourism promotion. And they can do just that when they start to make "it's more fun in the philippines" captioned photos. It has gone viral now. Whether Pinoys found it a serious advocacy or just simply entertaining (I mean those who mock it by changing the "fun" to "funnier"), it positively awakened the creativity among us by coming up with memes on the photos/promo initiated by the DOT. It served well the purpose when DOT said that the campaign is banking on the power of social media. I absolutely support and love the new DOT campaign. Controversy aside, it is great because people are contributing to it and people are reacting to it positively. It encourages people to create the content themselves to contribute to the campaign. I'd like to call it modern day bayanihan. It is witty and it allows us to display everything Filipino—not just the Chocolate hills and the underground river but also people, culture and the way of life here. People can easily relate. There are lots of factors. Foremost is the fact that it gets people to be involved. Filipinos now have a sense that they themselves are responsible for the success of the campaign. As a result, this spurs creativity, humor, wit and whatever is best in being Filipinos. It does help that most of what's going on is based in the Internet. Even those who are not creatively-inclined and who are content with just viewing the work created by others will most likely forward it to their non-Filipino friends. Travel Blogger, Make Nowhere, Somewhere. I think the new slogan works because it allows Filipinos to interact and play with the idea with a pinch of wit and irony. It’s a nice play which can sometimes be uberly exaggerated but can remain in line with the theme. 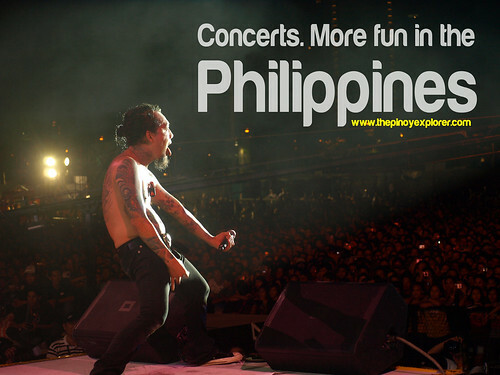 I have seen funny ones but still showcases some of the events or whatnot, the Filipinos are and can be proud of. One particular, just on top of my head are, the photo of our cebu inmates with a caption: “Jailtime. It’s more fun in the philippines.” Another is of a helicopter on decent, a lot of people below with a caption, “Miss saigon, more fun in the Philippines.” These are just some that gives me a good laugh, but, I think, will still send out an idea of what an eccentric but fun country the Philippines is. As mentioned some of the photo posts are exaggerated but for me other than the campaign, it reunites us Filipinos in the idea of the DOT theme. Personally, even along with its glitches, it is an establishment of our character as a country. 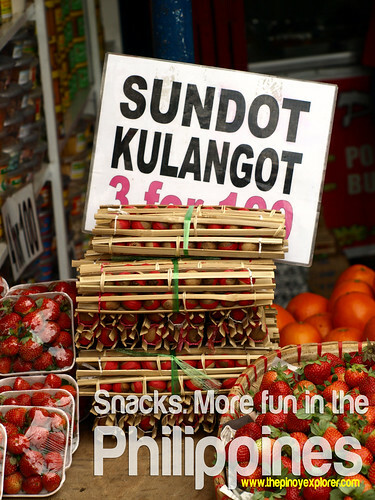 Overseas Filipinos welcome the new DOT slogan. Simple lang tayong mga Pinoy [We, Filipinos, are simple people]. Even the most cynical among us agree we are fun -loving people. However, there are those who gave their divergent thoughts on this, and they sit well enough to carefully ponder upon amid the sea of people taking side with the new slogan. [If the government] wants to attract foreign tourists, they should be ready first to welcome them. If we will overhype this slogan knowing that we have “one of the worst airports,” poor public security, unsafe and dirty streets in some parts of Metro Manila, the slogan will just turn to be a shame. It will just disappoint foreign tourists knowing that they are expecting better fun in the Philippines and not one horrible experience. If we will not fix the broken, the slogan will just turn to be a lie that will spread negatively as fast as forest fire. I think the efforts of the DOT to promote Philippine tourism is commendable, and I would gladly support it in any way I can. The slogan, may or may not work. Personally, I find it corny and outdated. I don't even think they put much thought in coming up with that. But silly slogans and titles oftentimes create interest, that is why I stated that it could have a positive effect on the campaign. Here's hoping that it does. Essentially, there are and will always be a range of ideas. Undeniably, the Philippines has so much to offer. We have the finest beaches in the world. We can offer the best dining and cheapest shopping experience. We have the most exotic, idyllic and spectacular ecosystems that we can be proud of. We are the most hospitable people. We have the most fun and cheerful people to host the nations. We have a rich history, culture, and heritage as a showcase. However, we should not also miss the fact that we also have so much to work on. The Philippines has yet to reclaim itself as the “Queen of the Pacific” or the “Pearl of the Orient” where every foreign visitor can always say “WOW, Philippines!” and perhaps learn to utter the words, “Pilipinas, Kay Ganda!”. The success of the tourism industry is measured not by the number of clicks alone or how has it gone viral on the internet, but by the actual number of visitors per year and the economic benefits and concomitant job generation. Here is hoping that it does not just be a meme. Secretary Jimenez said that selling tourism is “as easy to sell as Chickenjoy,” I would say, it is in the buying and tasting that counts and matters. The Pinoy Explorer should not be misconstrued. He supports the DOT's new campaign slogan and the initiatives for the Philippines’ tourism industry. While there are so much hype and excitement in the social media—when the selling has seemed to have succeeded, the DOT should not allow this excitement among travel bloggers and people using other forms of social media, to carelessly and irresponsibly take a dip. Just as travel bloggers have been unselfishly writing stories about the Philippines, who had been unwavering and championing Philippine tourism, there should also be a parallel move to make the tourism products worth selling. Its normal for Filipinos to meet the slogan with suspicion and sit-back rhetoric but good thing for most it was met with positive feedback (me included) and now, it has gone viral everyone are sorting their wonderful photographs of places in the Philippines wanting to make their own caption. It has reminded us what a very beautiful country we had. I agree with you Marky. But then this is just a honeymoon stage. More tangible actions need to be done to improve our tourism industry. Thanks! Indeed a well-granulated posts with deep insights and great compilation as well. Thank yo Edmar! It would not have been completed without your inputs! Thanks for collaborating and sharing the insights of pinoy travel bloggers, very well said. Nice read. Hi Rome! Thanks for dropping by. It's More Fun in the Philippine slogan has gone viral and the effect is positve although there are different opinions about it. trip ko yung kulangot, hahaha !! @tatess, yes it had gone viral. the only thing we do now is sustain the interest. @the viewing deck, enjoy din ako sa paggawa nyan. hehe. I also support this project. It only takes one person to get it rolling when it comes to spreading. Congrats sa lahat ng nagsupport. Chino, I agree with you. If everyone else just becomes proud of our country, we can erase all bad publicity about the Philippines. PS: Hope you can visit my blog back. Hi Sumi! I think, nothing is perfect naman. I think we just have to live with and and do something (whether or not joining the bandwagon) in promoting our beautiful country! Thanks!